The Black Tiger is a product of a lucid research into the complicated world of black money—its mechanisms, its movement, and its soft spots. A meditative and well-referenced critique of corruption and its corruptible practices, the book is a study of various countries across time and geography that have fought corruption in their own systems. From the ICAC of Hong Kong to the Clean Governance of Georgia and from the fight against Foreign Parked Black Money by a US court to the truly consequential None of the Above vote of Colombia, Srijan Pal Singh, trusted advisor and a close associate of Dr. Kalam, analyses case after case, putting forth cogent arguments on the many dimensions of corruption and how it can be systematically weeded out from India. 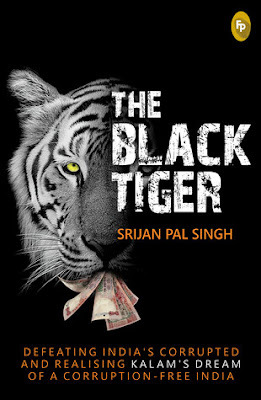 Srijan Pal Singh is a gold medallist MBA holder from the Indian Institute of Management, Ahmedabad, and has worked with the Boston Consulting Group. He is a social entrepreneur who has been involved in studying and evolving sustainable development systems with a thrust on rural areas. Every time the discussion reaches India and its current scenario the usual habit is to crib about all that is happening around. We are unhappy with a lot of things, but the question is and will always be "What are we willing to do to solve these issues?" This book comes as a gentle reminder, a nudge and a point-to-ponder for the readers on a lot of issues we are grappling with as a country. I have always held the author in high regards for having worked so closely with Dr. A.P.J. Abdul Kalam. And with this book, he just ensured the respect increases manifolds. Talking about various issues ranging from demonetization to corruption within our system, the book highlights various issues in our country. Poverty, unemployment and illiteracy seem like a thing of the passe when you read about what ails the system in today's times. Written in a text book fashion, complete with graphs, tables, charts, diagrams, definitions and quotes this is one book that every Indian needs to read irrespective of their age. On the contrary I would recommend this be made a part of our curriculum as we need to know what's happening in our country at the grass root level. To start with every school library can atleast make reading this book mandatory for every student for that is where the real change can happen. To become a superpower we need to overcome these hiccups and stride ahead towards our goal. This book is an answer to the how that comes to our mind every time someone says India has the capacity to be the next superpower. Not to forget the last chapter where the author has neatly segregated each one of us into one category we can relate to and then provided actionables. I like books where not only the problems are discussed but even solutions are offered. That shows how much research, analysis and understanding has gone behind the core issues. Because without understanding you can never come out with solutions. Lucid language and an easy to understand tone, makes reading this book a pleasure. He talks about lot of terminology which might be alien to a common man, but at the same time he ensures we understand what it means by explaining it in the simplest of terms before bringing up the issue. Overall I like the way the book has been presented and would recommend it to every Indian. 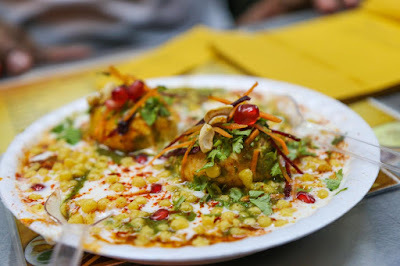 This book is like Dahi Papdi Chaat - Crispy, Tangy, Sweet and Spicy , perfect tongue tantalizer!